CYNOPROD OPEN CAD/CAM SYSTEMS | Cynoprod Canada Inc.
CYNOPROD offers a complete 'open' CAD/CAM system. The i3.5 scanner is lightweight and open frame, using combined laser/optical 3D digital technologies. It has a single unit scanning time of less than 20 seconds, while maintaining a scan resolution of 35 ' and an accuracy of less than 20 '. 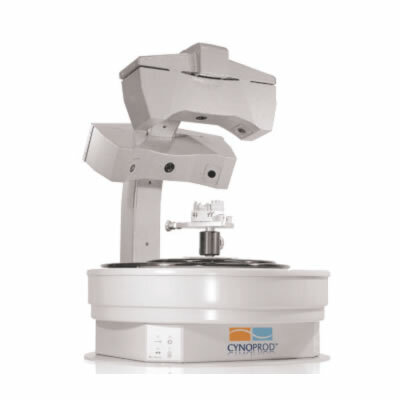 The system also uses NEO CAD software, Cynoprod Zirconia Discs, and the Ovamill Z (single disc) and Ovamill Z -XL (twin disc) milling machines.